I have new video for you today! 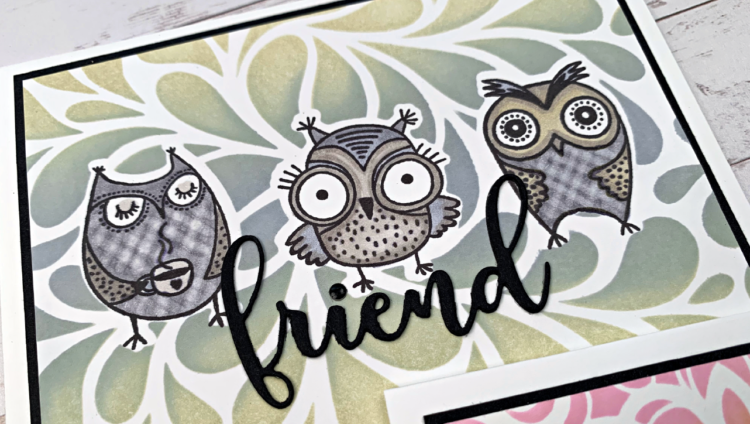 Many of us have wafer-thin dies that coordinate with stamps in our crafting collection. But cutting out stamp designs is only the tip of the iceberg of what these dies can do. 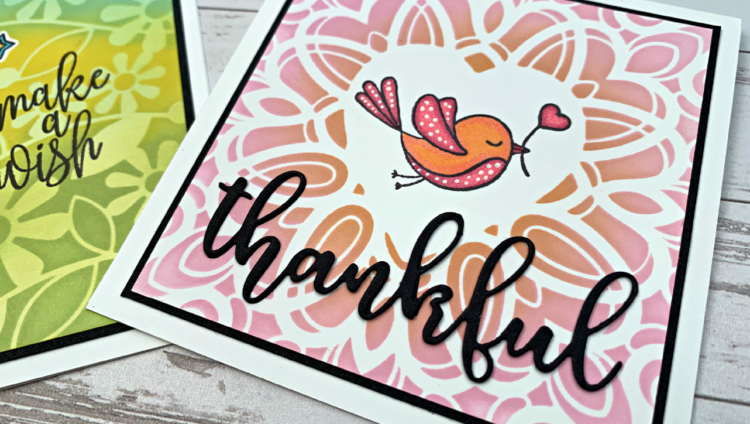 Today, I will show you how you can use these dies with Gina K. Designs Masking Magic Masking Paper and stencils to create some fun and cheerful cards. 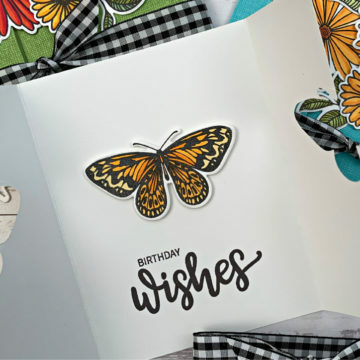 You can also use wafer-thin shape dies to create windows that work perfectly for your stamped images. And don’t forget to try some of your holiday images in a whole new way. 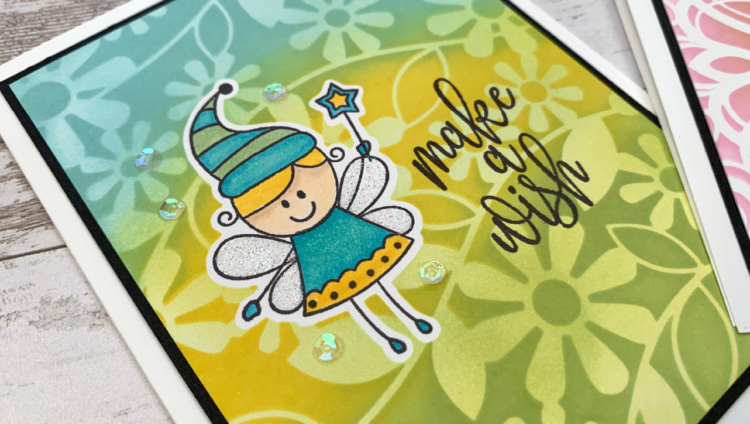 This card uses the Christmas Magic stamp set along with the Make a Wish mini set to create a fun birthday card! Thank You For Your Encouragement. With my 20 year battle with Chronic Pain due To Work Related Injury as a Combat Medic in USAF Crafting is my Escape route to a place where Creativity has no limits or obstacles except financial so I Upcycle nothing goes to waste. 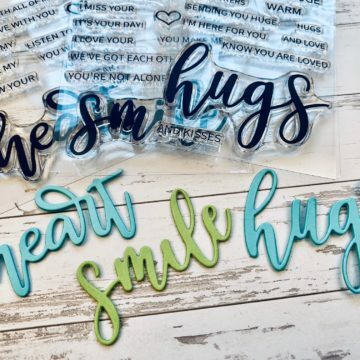 these look so cute! Love the colors and they are just adorable. LOVE these. I can’t wait to try it, and the gray and Skeleton Leaves together is GENIUS!!!! I would never think to use that combination. Now s’cuse me while I go into my craft room. 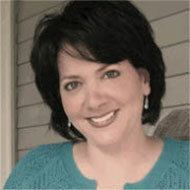 Thank you Gina for sharing your creative ideas. All 3 cards are beautiful! I love the flower stencil. That will be on my ‘must have’ list along with the Fairy Stamp set and the masking tape. One thing I like to do with dies (even if they have matching stamps). Just cut them on plain paper . Then just look at the shape. Sometimes you may come up with a whole different image. And another use. I really enjoyed watching you do these cards. Love life style brushes are wonderful for blending. Thanks for the great ideas to use the Masking Magic too. I really like this technique – can’t wait to give it a try! Thanks for sharing your adorable cards! This is a unique idea. Thank you for sharing. Will you please tell us about the blending brushes that you use. How do you clean them? And, do you have one brush for each of your ink colors? You can clean them with just water, a little shampoo or just by rubbing off the excess ink. You don’t need one for every color. They are called Life Changing Brushes, coming soon to Gina K. Designs! Beautiful cards, is soft stone a new color? Yes! It’s such a fun gray!